Core Data Model updates have launched on the PBS Video App for tvOS (4th-gen Apple TVs and newer), leveraging the improved metadata structure and UX improvements. What’s new from an end-user perspective? What’s new from a station perspective? Overall, the Home screen includes an expanded amount of content for users to browse through. The order of these lists will be synced up across every app platform. 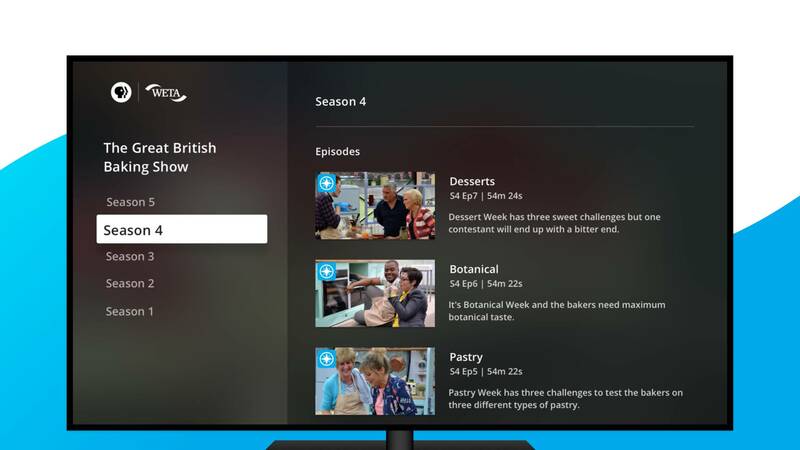 As this is version 1 of the CDM rollout in the PBS Video apps, we’re looking forward to hearing from any station that has input on features and functionality of either the front-end experience or the back-end admin. Please keep an eye out for opportunities to provide feedback on future builds, as well as upcoming webinars for Media Manager and Curate. The Core Data Model updates have previously launched on iOS, legacy Apple TV, and Roku, and are coming to Android platforms soon.